High quality, high capacity media for applications such as medium and heavy trucks, farm, construction, etc. WIX HD Oil Filters provide superior engine protection with high quality, high capacity media for applications such as medium and heavy trucks, farm, construction, mining, and other equipment. WIX filters are recommended for OEM oil and filter change intervals. 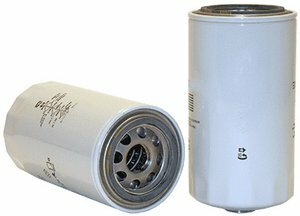 High strength, corrosion-resistant cans, center tubes, and end caps with superior sealing components ensure a leak resistant, long-lasting, high performing oil filter under all types of operating conditions.